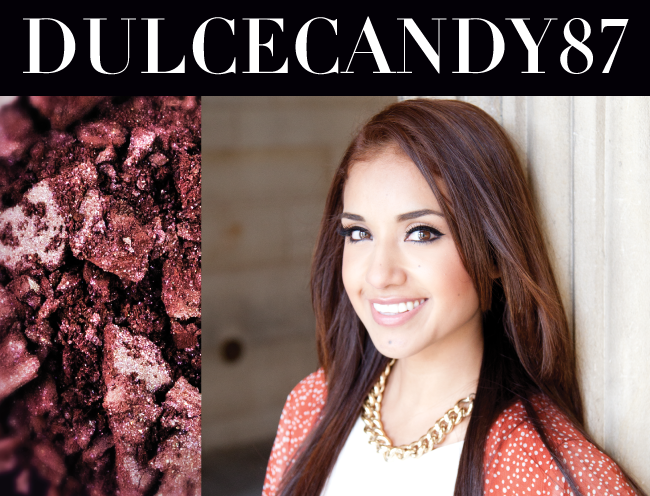 From LA, 24-year-old Dulce has had her career in the beauty spotlight for more than three years. With no formal training, she has taught herself the ins and outs of perfecting the artistry of makeup. She has since become one of the most renowned beauty gurus and inspirational figures to young women across the world thanks to YouTube. Her target audience ranges from ages 17-24 with the majority of her videos focusing on beauty product hauls and tutorials, all inspired by the most current trends. With currently more than 100 million views on YouTube and nearly 150K fans on Facebook, Dulce has undoubtedly become one of the top fashion and beauty icons for the social media generation. Her delightful presence has been featured among several publications and events including Seventeen Magazine, Nylon Magazine, Sigma Beauty Paris Project, NYX display at Ulta, the cover of The Stylist Handbook, and Regard Magazine. She was also named "Official Blogger" for the LA Fashion Night Out 2011 and selected as a recent judge for the Miss California 2012 pageant. Dulce's YouTube channel is not only an outlet to express her various passions and creativity, but also her way of inspiring other girls to feel more beautiful and take on a higher self-esteem. One of Dulce’s most memorable moments in the beauty industry was having the chance to visit Paris for the Sigma Beauty Paris Project. “It will forever be an inspirational experience that I will never forget." Dulce: Exploring the city with a group of creative individuals! It's always been a dream of mine to travel to Paris. To be able to do this while working on this project was definitely a dream come true for me. Dulce: I loved EVERYTHING, but if I could only choose one thing I would have to say that I loved the history. 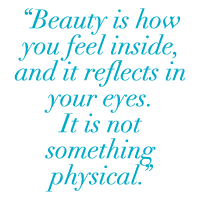 There's so much to learn and appreciate. The architecture was phenomenal. Dulce: I learned a lot just being surrounded by the other gurus, especially when we had a creative meeting in Paris. They would pick up on things I would have never noticed. Dulce: I learned that the process of creating one single color alone takes a lot of work. From the idea at hand, to the final desired swatch, it's a long process but it's great to see the final product. Dulce: I really appreciated the fact that we were able to feel inspired by our monument. My location was the Champs-Élysées and I feel that my color represents that strip quite well. My favorite way to wear this shadow is on the crease, either alone during the day or a bit more present for a night look. this pallet looks so good but its so expensive!!!!!! love Dulce! She's a true inspiration. Oh my God, I love Paris. My husband proposed to me on Eiffel Tower!!! A wonderful feeling. I will never forget it!! !